Our second eco-dome failed. It lasted about 3 days and the cricket died. The changes we made for the second eco-dome was putting a plant inside the eco-dome. However, for some reason, our eco-dome didn’t last long enough. So this time we decided to change our eco-dome a bit again. Cricket’s diet is very similar to humans. We decided to put in carrot. We also thought about also putting some cucumbers, but since cucumbers are a bit moisty, we were worried that mold might start to grow. Our cricket was alive, and it looked very happy. I noticed that there were only a few carrots left. After a few days, I checked the Eco-dome and there were no carrots left and the cricket was dead by on the rocks. Jiyeon and I think the cricket died because there was not enough food. When we cleaned the eco-dome, the smell didn’t smell bad, and there was water on the walls of the eco-dome. We researched about photosynthesis and the carbon cycle because we were worried about putting the plant in our eco-dome. It said that plants provided oxygen for living organisms. Therefore, we added plants in this 2nd eco-dome. carrot, tomato, and cucumber since we thought that the cricket died because of starvation. Carrot 14g Carrot has the most nutrient in and cricket likes it. Cricket ate a lot of carrots just by one day. In Science, we started a new project, and it was about building an eco-done for crickets. My partner, Jiyeon and I planned to put in soil, grass, rocks, vegetables, fruits, and seeds. When we went to the market, we couldn’t find a big container for the cricket to live, so we had to buy a small one. We also decided to put in just one carrot since there isn’t enough space for all the food. When we started to build the eco-dome at school, we first put in soil at the bottom, then grass, put some rocks by the side, and finally the carrot. By the way, when we added the soil in, we sprayed some water on the soil so that the cricket can drink the water that evaporates. Carrot 12.8g When I researched, it said that crickets can eat carrots. It turned a bit rotten, but it seems like the cricket is still eating it. Rock 120.1g Rocks for shelter and when the water evaporates, the water can be on the water The cricket is using the rocks as shelter. Brown soil 79.8 It looked like it was full of nutrients. The soil is still healthy and the water that evaporates from the soil is on the eco-dome’s wall. grass About 1 cm high It looked very comfortable and soft. It seems like there is no difference between putting grass or not. Briefly explain your activity during the game. YoonJi and I was machiavelli during the roleplaying game. Our mission was to judge when there was a conflict between the minor guild. At first, we had nothing to do since Florence was very peaceful and everyone was nice to each other. So we decided to go and buy some bread. The baker(Alice) was a bit busy so she told that she cannot give the bread. However, we were in the major guild so we had the authority to force her. As a result, we had to give us the bread. Later on, the Inn Keeper(Phu), and the wine seller(Alex) started to fight. We judged when and we told Phu to pay for the bottle if wine he broke. Write about your learning of the Renaissance period, Florence, and guilds. During this game, I learned that the major guild had so much power that they could to everything they wanted. The major guild could put people into jail if they didn’t listen to them. I thought that the guild was very important because your life mattered in which guild you are in. Also I learned that Florence is like the middle of the city because there was all sorts of people and things in Florence. Write about your general experience and opinions about playing the game. Personally, I really liked this game because we could learn while having fun. I think it will be fun if we had to act out the scenes because it would be more realistic. For this project, we were supposed to design a Water Filter. The water filter has to be able to filter out salt, copper and make acid neutral. Also, the turbidity had to be low. Our first prototype was the water bottle filter. Some things that worked were filtering out the the dirt to make the turbidity very low. However, the ppm was a little bit less than 160 and the pH was 5. We decided to change the whole filter and make a another one. The second prototype was the evaporation filter. This filter was my Idea and I got this idea when I was reading a book about evaporation. Things worked really well in this filter. The pH was 7 and the ppm was 0. The Turbidity was very clear. Our group decided to keep on using this filter since everything worked well. While making this video, my challenge was that I had to get creative commons picture. What are you proud of, or what do you feel you have done well? I am proud of my image quality because it really took a long time to find good images. How has the video changed/helped you to express the ideas and theme(s) of your poem? The video helped me express the ideas of my poem because I could add in my voice and pictures so that the reader can understand more. What did you attempt to emphasize through your use of visuals, music, and reading (how you used your voice)? I tried to make my voice as same as the mood. I tried to use a sad voice when the mood was sad and a happy voice when the mood was happy. What would you change if you did this over again? I would like to change the voice because I think I talked a bit fast. Do you have any advice for students who do this assignment in the future? I would like to tell them to talk in the right mood and also in a clear voice. In this unit, I learned that there is white space in poems. At the start of the unit, I didn’t know about white space, stanzas, and etc. I don’t consider myself as a poet because I think my poems aren’ that good yet to consider as a poet. I think I will continue writing poetry at school. My overall experience in poetry was at school. I started writing poetry from 3rd grade until now. I think I grown as a writer because I got to know more things and I think I improved in writing poetry than before. This character fear, is a scary cat. He really gets frightened and he hates scary things. Fear and I have the same characteristics. I hate watching scary things too like ghost movies. 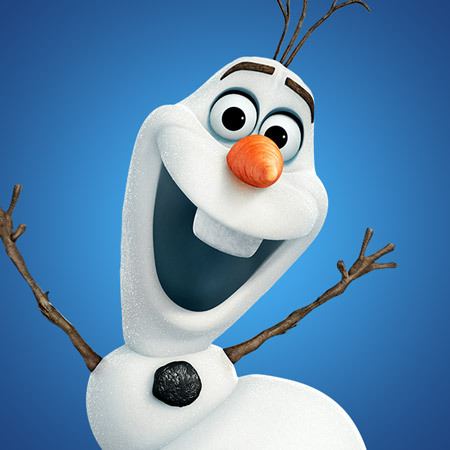 The second character is Olaf, a snowman in the movie called “Frozen”. Olaf forgets many things and he is very unpredictable. I felt like I was Olaf while watching the movie. Finally, the last character that has the similar characteristics as me is Alice. She is full of curiosity and she loves adventures. The Some challenge I had with the process of this assignment was writing the poem. I have learned how to write a poem before. However, I never written a poem of this kind of genre. I chose this image because the picture had the word ‘dream’ on it which is the main idea of my poem. My image supports the theme of the poem because in the poem, I wrote about never giving up to reach your goal and that related to your dream.